The Staff CharacterDare provides practical strategies over the course of a year. We know that when we get busy, the abstract relational and culture-building work sometimes unintentionally falls to the bottom of the to-do list! 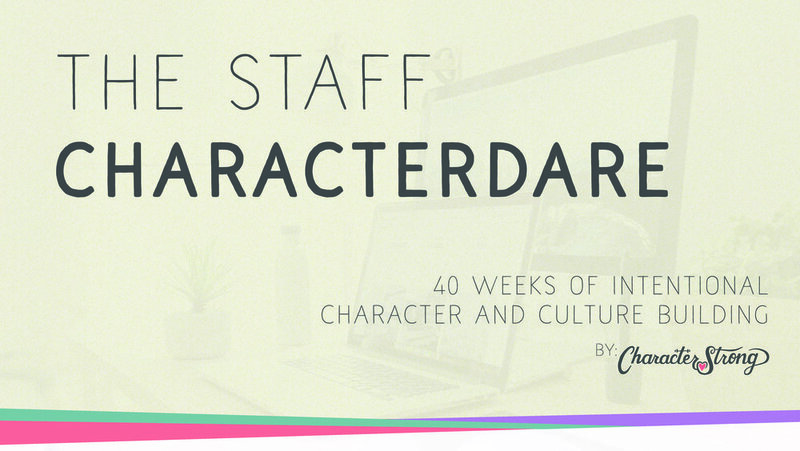 At CharacterStrong, we like to say, “We need to be reminded more than we need to be taught!” So, our CharacterDare is a simple, weekly reminder to keep a disciplined focus on cultivating a culture of character, compassion, and relationships. One CharacterDare for every Monday through Thursday of a school year. 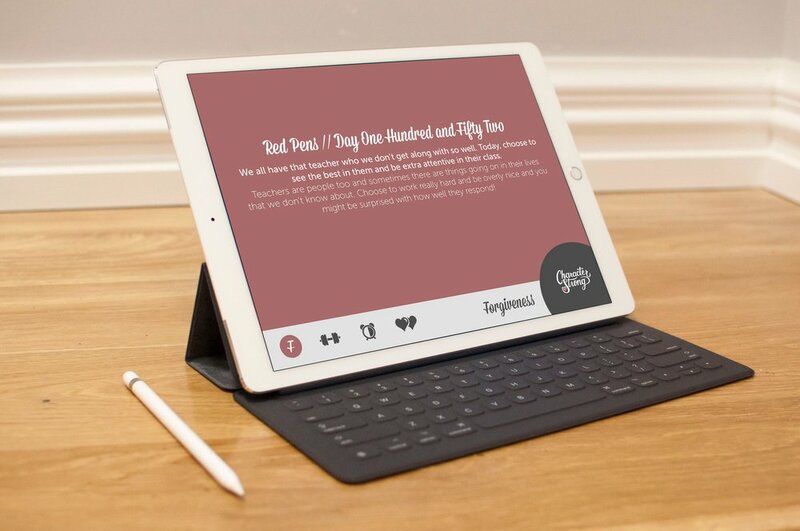 Daily Dares to give practical ways to engage in kindness, forgiveness, honesty, respect, and more. If we don't have a food drive at school, how often do kids go and donate at the food bank? When we put opportunities to practice good in front of people, they are more likely to engage in the exercise of character. A great five minute start or end to any class. One reflection sheet for every Friday of your school year. Weekly reflection sheets allow you to track student progress and hold them accountable to continued growth. Incorporate it into any program or leadership class to help focus on character growth throughout the year. Five digital download posters for each Character Essential - these serve as great visual reminders for your students and your school. Intentionally selected quotes help reinforce and remind. We've recorded welcome messages introducing both the entire year and each individual character trait along with mini lessons on the 4 Stages of Habit Development and how the dares are structured. These videos give your students a familiar face to connect with and helps ease your job of introducing and and explaining what CharacterStrong is. Each week focuses on a specific aspect of a character trait - the skill of self-forgiveness, the practice of selfless service, the exercise of humbly asking for feedback. Throughout the week, the dares build in difficulty, culminating in a reflection. Research proves it takes 24 days to form a habit - so we've given you a workout plan for every month. We update the Gym regularly with the best resources and tools we have found in education. It is a goldmine for administrators, leadership advisors, teachers, counselors, and even parents! Sortable activity library for quick-win, experiential activities that build community, empathy, and fun. Tagged video library with synopsis and debrief questions for an inspirational or conversational media moment. Compliment Creations: A daily way to engage in the intentional exercise of kindness by celebrating others.